When we look around at our mountains in Virginia’s Blue Ridge, we are in awe and realize how fortunate we are to live in such a beautiful place. Get to know our special higher elevation destinations and all of the ways to love them. Catawba Mountain is where you’ll find iconic McAfee Knob, one of the most photographed sites along the Appalachian Trail. At 3,197 feet, McAfee Knob is a natural ledge that juts off the side of the mountain and affords immense, near-360 views of the Catawba Valley and beyond. Thru-hikers find rest and cover from the elements at the Campbell Shelter, placed between Route 311 and McAfee Knob. 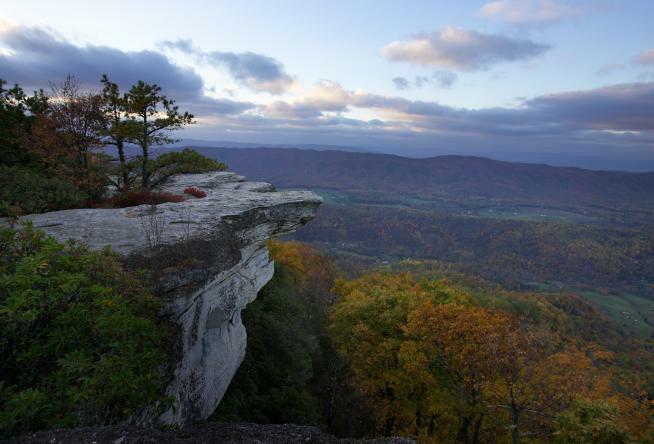 If you’re visiting for the day, the hike from the road to McAfee Knob is about eight miles. 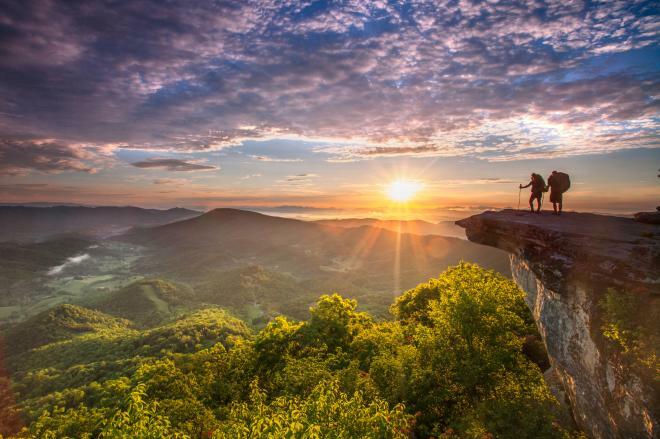 NOTE: McAfee Knob is one of the most popular hikes in Virginia and parking can be a challenge. To avoid crowds, consider going mid-week or early in the day. Please remember to adhere to Leave No Trace principles to ensure this hike can continue to be enjoyed for years to come. Camping and campfires are prohibited on this trail unless it&apos;s at designated shelter areas. 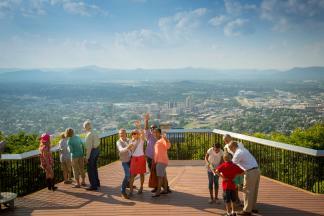 Once you’ve experienced the views from Catawba Mountain, check out the views of Catawba Mountain. 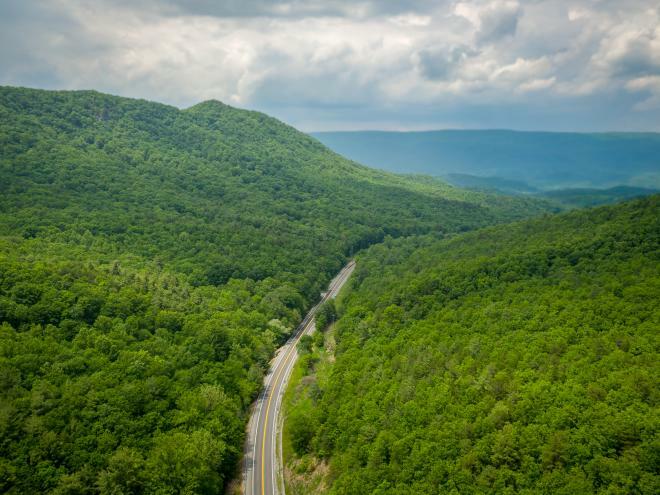 By bicycle, you can spin along Catawba Road (Route 779) or try the advanced Catawba Loop cycling route, at more than 50 miles long, it’s one you’ll want to prepare for. 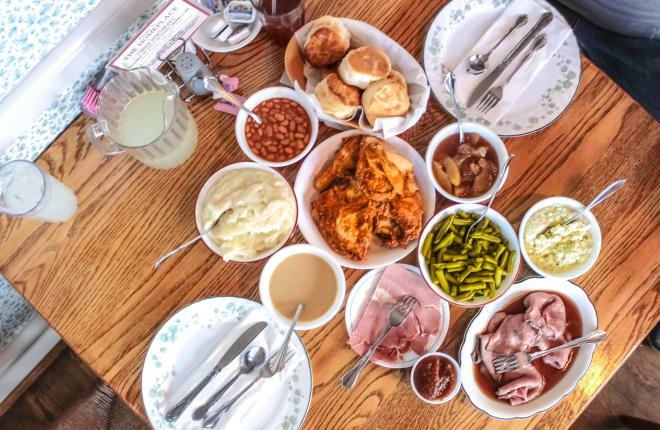 Work up an appetite in whichever way you choose and make a beeline for The Homeplace, a culinary destination featuring all-you-can-eat Southern comfort food that’s served family style. Set alongside the road at the base of the mountain in a farmhouse with wrap-around porches, there are adjacent fields of livestock to admire, as well as grand old trees and gardens. If you arrive to a wait list, wait. It’s worth it. And remember to leave room for homemade cobbler and ice cream for dessert. When in season, the Catawba Valley Farmers Market is the place to be on a warm Thursday afternoon. Choose from ripe vegetables and fruit, fresh beef, eggs, cheese, butter, and more. It’s a great way to take the taste of Catawba home with you. 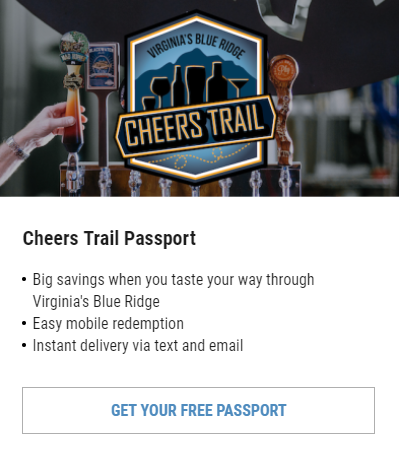 Where do you go from Catawba Mountain? We suggest a drive up Route 311 to Paint Bank and The Swinging Bridge Restaurant and Paint Bank General Store. Or head in to Salem for a self-guided walking tour, great food at Mac & Bob’s or Blue Apron Restaurant & Red Rooster Bar, or a swing through the Salem Museum & Historical Society. For more outdoor adventure, head to Carvins Cove Natural Reserve, a pristine treasure for paddling, mountain biking, and hiking. Get to know some of our other favorite mountain destinations. Check out the Peaks of Otter in Virginia’s Blue Ridge or learn more about the mountain everyone thinks they know: Mill Mountain. Subscribe to be alerted about our next blog post.